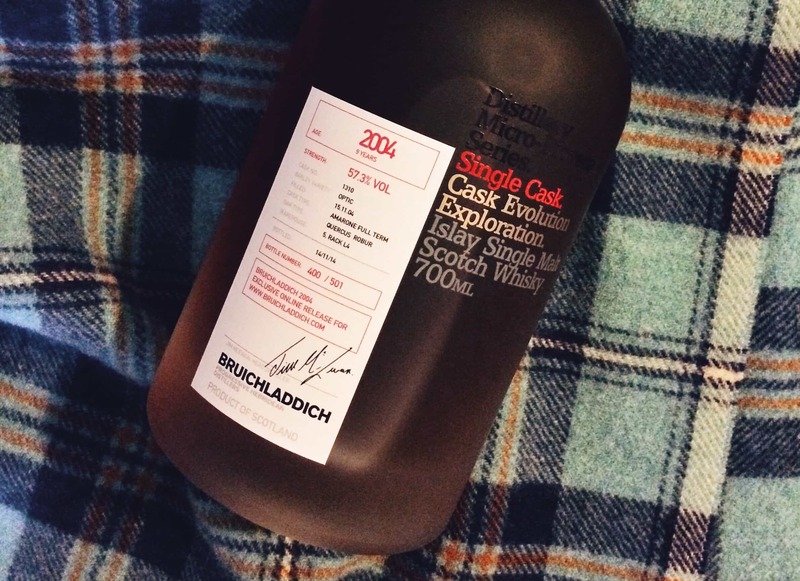 I do like a wine-finished Bruichladdich whisky. 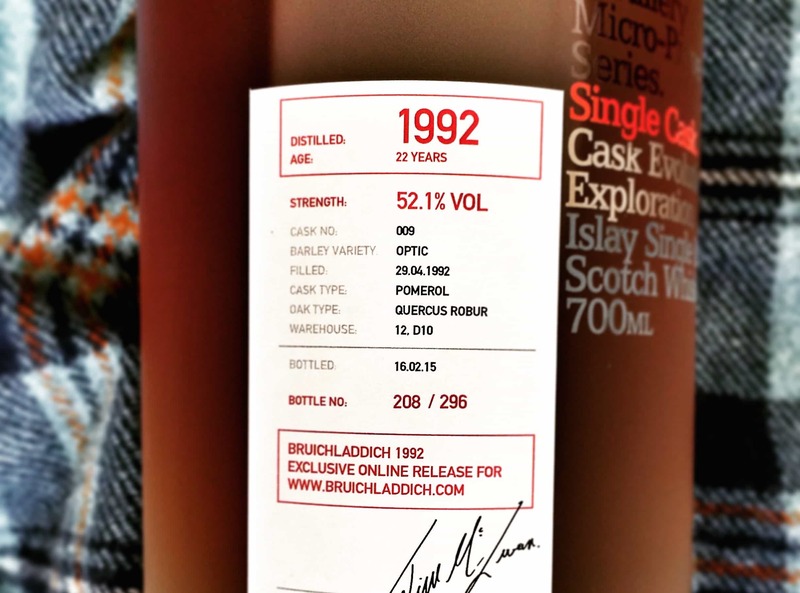 In fact, when I finally pass from this world, I might request to be buried in a premier cru wine cask that has previously held Bruichladdich (or at least a casket made from one). You don’t tend to see a huge number of new Bruichladdich releases, let alone many of these fancy wine finishes – not now they’ve stabilised the range, and not like the entertainingly crazy pre-Remy Cointreau old days (I couldn’t keep up with the number of bottles then). The First Growth series was one of the best they’ve ever done – a belter at under £50 a go. And though I’ve only had a couple of the new Cuvee range I’ve been impressed again; the latter is a little more expensive if worthwhile. So imagine my delight when browsing a couple of the online whisky auction websites to see some reasonably old wine-cask finished Bruichladdich whiskies going for under £40 a go. Yup. 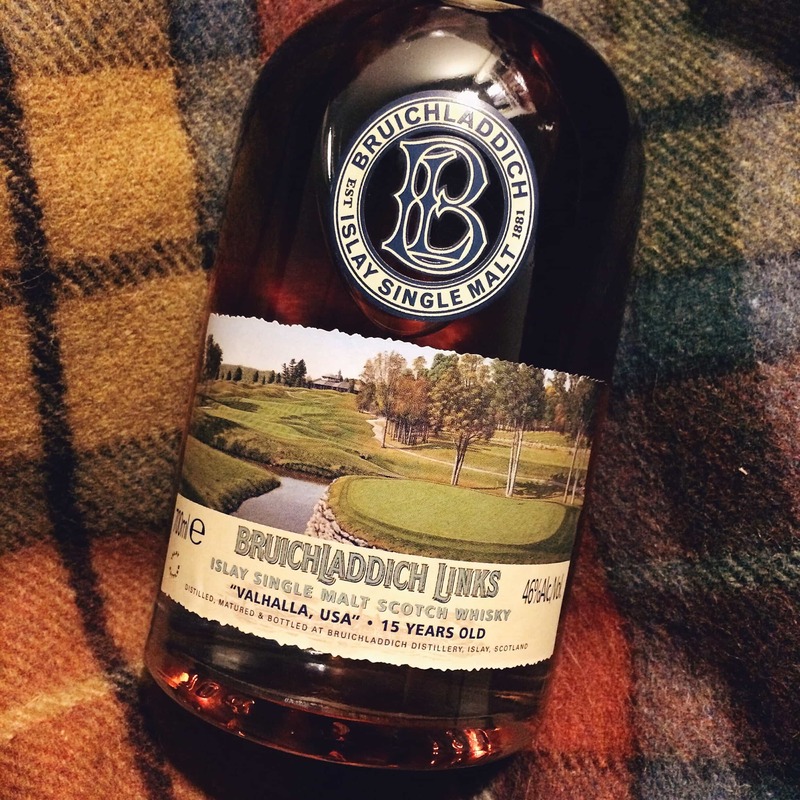 They’re masquerading under the moniker of the Links series, the fabulously designed range of whiskies that were branded with the names of various golf courses and released a few years ago. 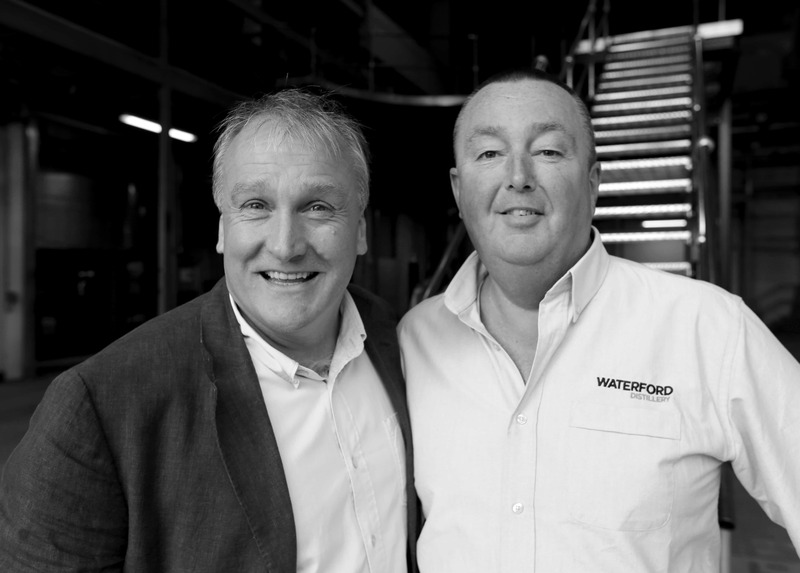 The art for the labels was drawn by renowned artist Graeme W. Baxter. I picked up the Valhalla at Scotch Whisky Auctions. It wasn’t immediately apparent what wood this had matured in, but a little research cast a light on it. The Valhalla had been matured in bourbon casks for 15 years, then additionally matured in premier cru, first-growth Climens Barsac casks (1855 Sauternes-Barsac classification, if that means much to you). Chateau Climens is one of the most lauded dessert wines in all of France. 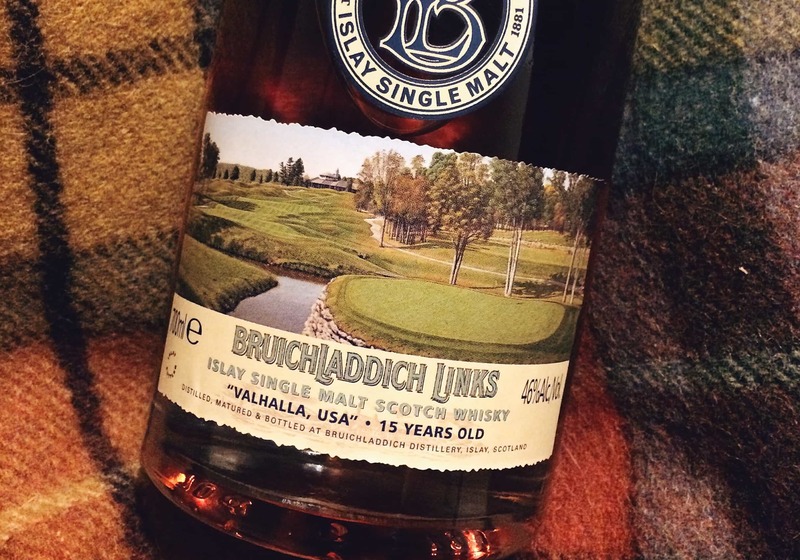 The Valhalla was the 10th in this acclaimed Links series, with limited worldwide release of 18,000 numbered bottles. Not exactly limited, that, which is probably why auction sites are filled with them. And, judging by my recent monitoring on the series, bottles from this series almost always sell for between £40 and £60 a go. In the modern world these are, quite simply, bargains. The Valhalla was just £40. Colour: russet apples, honeycomb. On the nose: vanilla, apple pie, peaches. A little bit of malt. Green apples. Hops. In the mouth: a lovely warmth to this, and a great balance between the gentle sweetness and malted qualities. An elegant and excellent Laddie texture, as I’d hoped. Vanilla again, almonds. An almost wasabi like character, although very distant. A lot of wood spice within the core, yet it doesn’t overpower – it seems to enhance everything. Lovely late summer fruits towards the middle and back-end. The Valhalla is a solid Bruichladdich whisky, certainly, but I’ve always judged this distillery most harshly because I love the place. So a solid Bruichladdich is, in my book, a very good whisky indeed. At £40 it’s ridiculously good value and there’s no reason you shouldn’t pick up this little piece of Laddie history. An everyday dram at old-fashioned prices. And yet… you can’t actually buy a bottle at any retailer, really, so my point is this: once you ignore the vintage Port Ellens and jump off the Karuizawa bandwagon, there are some absolute steals on online auction sites. The Bruichladdich Links series is, in my book, full of bargains, and I’ll definitely be buying more in future. I probably shouldn’t be telling you this, because you’ll now be bidding against me in future auctions, but I’m sharing the knowledge because I’m nice.